Click anywhere on the image for further details. Performance Qualification authors confirm that they do routinely - experience a 70% reduction in the cost of preparing validation plans and protocols - Also - Experience an 80% reduction in the time required to incorporate review comments: - Also - Experience a 95% reduction in the time required to raise supplementary protocols that are routinely required to plug omissions: - Also - Experience a 72% reduction in the time taken in getting their validation tasks to the execution of protocol stage - Also - Experience much greater confidence that their validation task will be completed within time and budget estimates - So keep in mind that. - Using a validation package will ensure your validation task is properly defined, assessed, scoped and subjected to the appropriately intensity of performance qualification. The scope of the P1Q (the 1 or 2 is used to negate confusion between Performance Qualification (P1Q) and Process Qualification (P2Q). Performance qualification (P1Q) is often used to qualify equipment throughout the full range of the equipment capabilities ,as opposed to process qualification, that is only concerned about capabilities that the process under validation uses. The normal expectations for P1Q are given as requiring, documented verification that facilities, systems and equipment, as connected together, can perform effectively and repetitively, based on the approved process method and product specification. 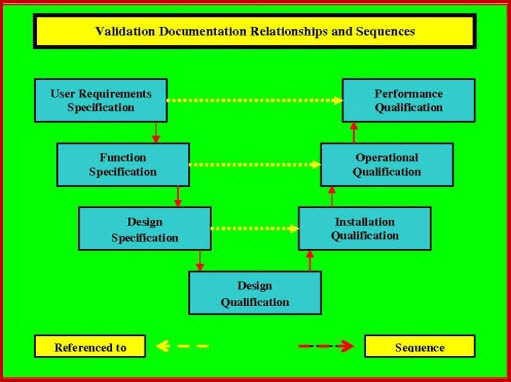 Onto that now should be grafted The verification that the all the requirements specified in the User Requirements Specification (URS) have been fully complied with. Definition of performance qualification criteria and test procedures.